Kristi Kranz joined CPCM in January 2019. Kristi received a Bachelor of Arts in K-8 Education from St. Cloud State University and a Master’s degree in Educational Leadership through Southwest Minnesota State University. 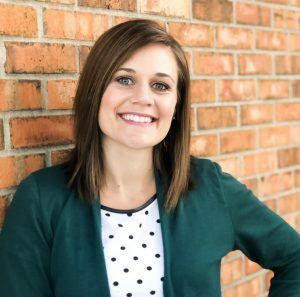 After spending four years in the classroom, she moved to the Sioux Falls area and began her work at Sioux Empire United Way. In her role as a Community Impact Director, Kristi worked closely with local non-profits through the grant management process, helped identify potential solutions to unmet needs, and supported the work of many volunteers. Through her 12 years at United Way, she learned a great deal about the social services programs that exist in our community and was continuously drawn to those serving the most vulnerable populations, especially children. She feels blessed to become part of the CPCM team and helping with such an important mission. Kristi and her husband, Josh, have the pleasure of raising their two daughters who are in Kindergarten and third grades.